The recently released film Haider by Vishal Bhardwaj is unfortunately disconnected with the facts. The movie begins from 1995, which discounts the original historical fact of mass exodus of Kashmiri Pandits (Hindus) in 1990. Bhardwaj has tried to sympathize with the people who actually were the supporters of militancy in Kashmir. It is very disheartening to see that a noted film producer like Bhardwaj did not do his research correctly in order to discover what led to the turmoil in Kashmir. For those not familiar with the mass exodus of Kashmir Pandits, it is important to mention that in the year 1989-1990 the separatist movement in Kashmir started with the anti-India slogans, hoisting of green flags, the pro-Pakistani sentiments and the exploitation of youth by the fundamentalist leaders. Mosques meant for religious prayers were used to hide arms and ammunition. There was a well-planned strategy that started with selective killings of prominent Kashmiri Pandits in order to create fear, followed by brutal mass killings and persecution of innocent Pandits. The women were stripped and molested. There was a rise in kidnappings and merciless killings. The bodies of kidnapped and murdered Pandits bore the marks of torture, burn injuries, hangings and mutilation. Many bodies were found with their eyes gouged out and broken fingers. Threatening letters asking Kashmiri Pandits to leave Kashmir were pasted on their doors. Given the threat most of the Hindu community left their land of ancestors in 1990 and took refuge outside Kashmir. In Haider, Bhardwaj has tried to change history and has created his own historical fiction. He has no right to fiddle the historical facts to his advantage and send wrong messages through his film. Haider is a manipulated story where the Indian Army is portrayed as the villain but the atrocities by the Indian Army bear no reference. There is no mention of how the separatist violated law and order and repeatedly ambushed Army personnel. The filmmaker has added an emotional quotient to the film by showcasing half-widows and their disappeared husbands. The burnt homes and the graveyards are focused to show the brutality of the Indian Army towards the Kashmiri Muslims. But how could Bhardwaj miss the merciless killings of Kashmiri Pandits and the ashes of their burnt homes? How could he neglect the fact that around a half-million Kashmiri Pandits were forced to abandon their homes due to the threat to their lives by the so-called ‘azadi’ fighters? The Bismil song filmed in the ancient Martand Sun temple (built around 8th century) shows a terrorist dancing in the temple - which is totally unacceptable and has created controversy. 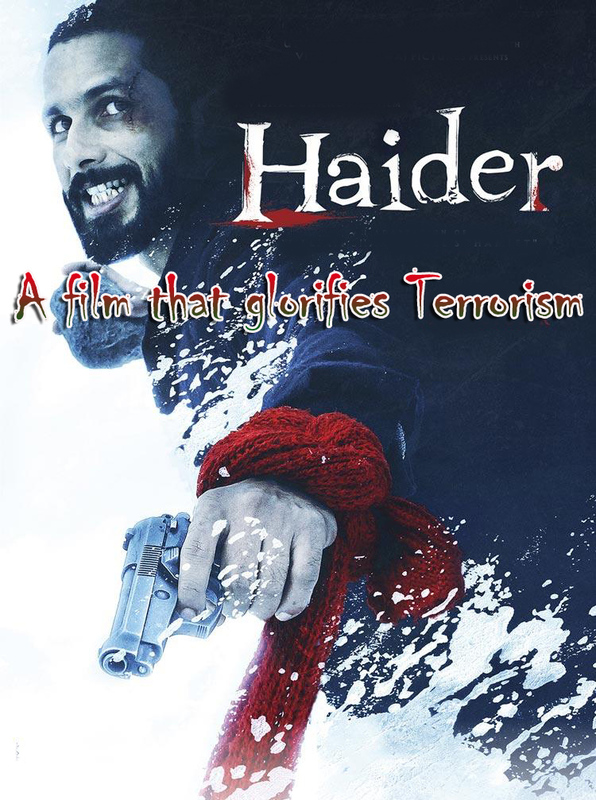 Haider is simply a biased film and glorifies terrorism. The movie, has failed to capture the complete story of Kashmir. Indian Army deserves respect and Vishal Bhardwaj should know that. *Meenakshi Rain was born in Jammu but lived her childhood years in Kashmir Valley. She did her schooling from Kashmir and migrated to Jammu after the turmoil in the valley in the year 1990. She did her graduation in science from Camp College, Jammu and her post-graduation, Master of Management Studies (M.M.S) from University of Mumbai in the year 1997. After her marriage, she moved to Delhi and worked as a lecturer in a management institute. She migrated to Canada in the year 2001, and lives with her husband in Toronto, Canada. She belongs to an educated Kashmiri Pandit family; her father Shri. Janki Nath Bhat is a retired engineer and her mother Smt. Usha Kashkari, a retired professor. 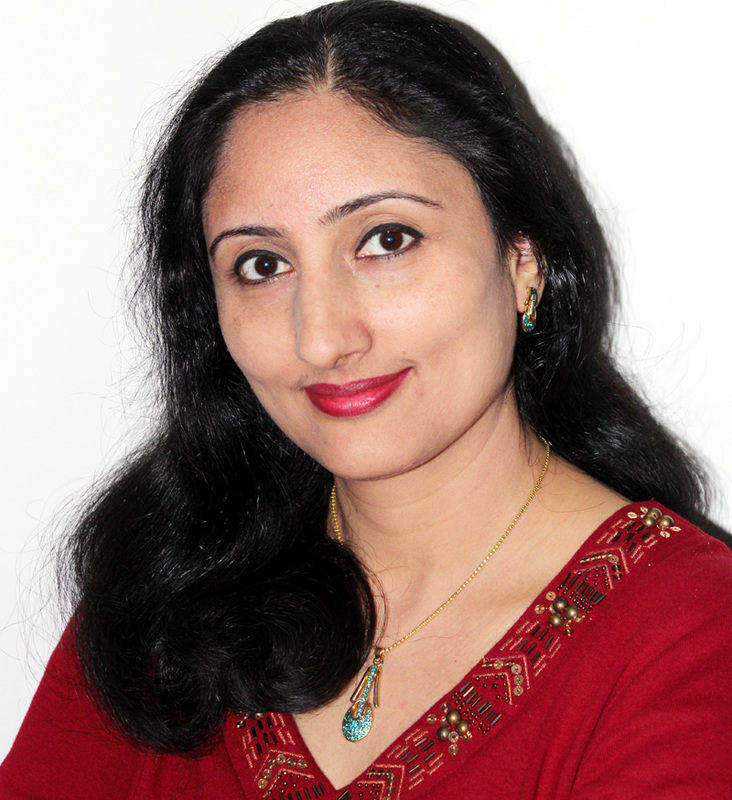 Since her childhood, writing poems has been her passion both in Hindi and English languages. The Divine And The Destiny is her debut novel.She is a regular contributor of poems and articles for Shehjar. I watched the Hyder out of curiosity. It is a fiction, yes I agree,but how does this glorify terrorism. There have been other films like mission kashmir,Shauriya, rojja or fanna and the list goes on, making kashmir as part of the plot.the plight of kashmiri pandits and atrocities by terrorists is a different topic and Hyder has not touched that, let some one else work on that.what is wrong and untrue about the storyline . the author of this article needs some retrospection. It seems either she has not seen the movie or she has not really understood it. there is not a single scene where terrorism is glorified.no where indian army is disrespected. Thanks for your write. It is good to see you remember facts and I respect that. I think there has not been a proper movie Yet which has told our story and our history. Unfortunately or delibrately Bollywood is money making machine business. We should not expect facts from the movie, it is just an entertainment for the mass audience. We need true caring personalities who have money to invest to tell our True story till then keep spreading the light of truth and respect that truth.